Last night, upstart bare knuckle fighting promotion Bare Knuckle Fighting Championship (BKFC) returned to our screens with BKFC 5, its fifth pay-per-view. The card, which went down in Biloxi, Mississippi, was topped a 145-pound showdown between UFC veterans Artem Lobov and Jason Knight. Lobov, a key training partner of Conor McGregor, and Knight, a hometown hero in Biloxi, ended up delivering an epic, five-round war, painting the canvas red and thrilling fans watching on-scene and on screens. They also impressed the heck out of their fellow fighters. In the wake of this wild BKFC 5 fight, which Lobov won by decision, many pros chimed in on social media to share their thoughts on the action. 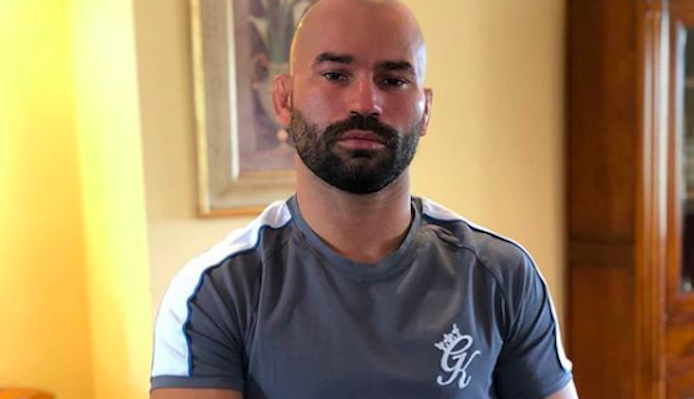 With this victory, Artem Lobov improves to 1-0 as a bare knuckle boxer. He’s now been booked for a massive grudge match with Paulie Malignaggi, one of the chief rivals of his training partner Conor McGregor. The fight will go down at BKFC 6 in June. Jason Knight, meanwhile, comes up short in his BKFC debut and will have to return to the drawing board. What was your reaction to this wild Artem Lobov vs. Jason Knight fight at BKFC 5? How did you have the bout scored after five rounds? Join the conversation in the comments section below.